Crystal Coast Storks & More – The Stork Lady is proud to announce another addition to our growing family. We recently welcomed Pam of Crystal Coast Storks & More in the greater Jacksonville, NC area. She is based in Hubert and also serves Jacksonville, Richlands, Swansboro, Morehead City, Havelock, New Bern, Camp Lejeune, New River, Cherry Point and Emerald Isle, NC and all points between. 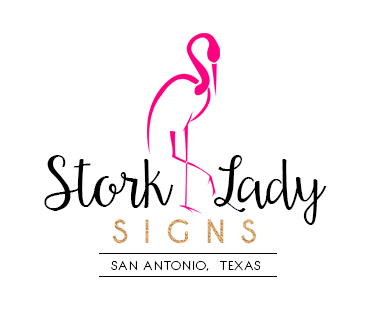 Please contact Pam at 910-381-5679 to book your stork sign or to request additional information.